Dr. Charles Crist, MD,PC provides more information on our prolotherapy in Columbia, MO. Prolotherapy is a word that is derived from proliferant and therapy. The therapy results because the proliferation occurs in the cells of the tendons and ligaments. Pain may be caused by looseness or laxity of the ligaments and tendons, if the pain is chronic. Proliferation of the cells of the tendons and ligaments makes them tighter, bigger, and stronger. Proliferation causes tighter ligaments and tendons which gets rid of the pain in about 80 to 90% of chronic or recurring cases! Only prolotherapy will tighten the ligaments and tendons. 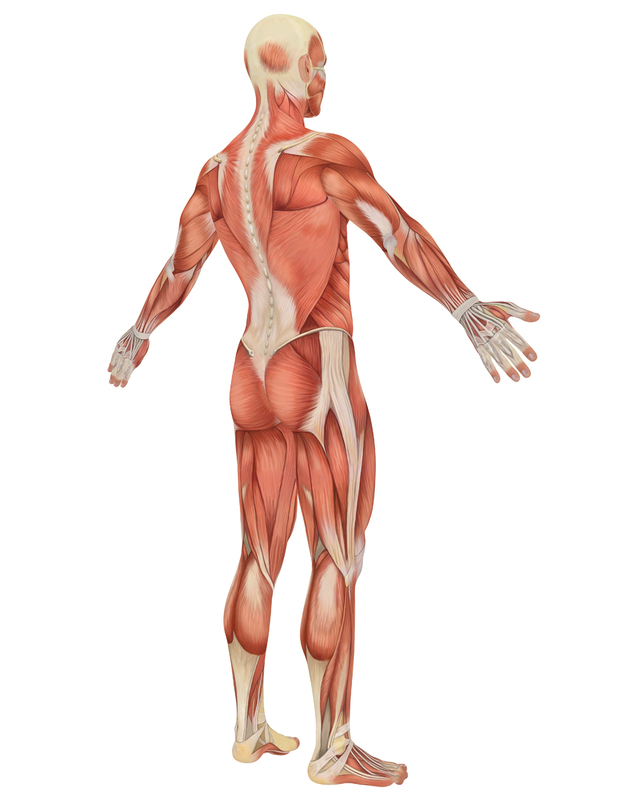 Tendons are what muscles taper down into at each end. Ligaments are tough fibrous tissues that hold bones and joints together. Dextrose (sugar) is the proliferant used in most cases. A concentration of 12.5% dextrose causes an inflammatory reaction in the tendons and ligaments. Inflammation results in the proliferation of the cells. As the body heals the inflammation, the ligament and tendons tighten. Getting rid of the looseness starts the pain resolution process. Tightening usually is a step process. Average prolotherapy patients need a series of four (4) dextrose injections into the tendons and ligaments that are loose. Healing the inflammatory response caused by dextrose takes time. Six (6) weeks are allowed usually between injections at the same site. Pain that is diffuse, such as is seen in fibromyalgia, usually requires weekly or daily sessions to inject all of the tender ligaments and tendons. Injection of the dextrose is done where the tendons and ligaments attach to the bone. One of the cardinal rules of prolotherapy is that the proliferant is never injected unless the needle is on bone. This is to prevent the chance of injecting into structures such as blood vessels. Discomfort due to the injection varies from patient to patient. Most people are not premedicated with three (3) hydrocodone (Vicodin, Lorcet) and one (1) mg. alprazolam (Xanax). The medicines are taken an hour or two before the prolotherapy so the injections are more comfortable. Most patients prefer to not be premedicated. Patients already on these types of medications may need even higher doses. Those with tolerances for pain may choose to not be premedicated. Pain is the number one side effect of the injections. This is a no pain no gain situation. Focus on the big picture! 80 to 90% of chronic pain responds to prolotherapy! The number one thing patients tell me is that prolotherapy was not as bad as they thought it would be. Once the pain is eliminated, most of the time it does not recur. Later, if more prolotherapy is needed one series is usually adequate, as opposed to the average of four series of injections initially. As the injection is done, there is discomfort in the skin and where the tip of the needle touches the bone. Pain is the biggest risk of prolotherapy. Soreness for several days after the injections is common. Also, at about two to three weeks, there may be a flare of pain; probably because the tendons and ligaments are starting to tighten from the proliferation of the cells and healing of the inflammation. Do not take anti-inflammatory medications such as ibuprofen or steroids like cortisone or prednisone. It is better to take acetaminophen. Infection and swelling are risks. After about forty years with over 10,000 patients and over one million injections, Gustav Hemwall, MD, never had an infection. Dr. Hemwall had an international practice! That gives an idea about the effectiveness of pain relief and safety! If the needle were to touch the spinal canal, there might be leakage of spinal fluid with a headache. This is brief and is resolved by lying down usually. Injections are not done unless the needle is on bone. The angle of the injections is away from the head to minimize risks of touching the spinal canal. There has only been one death in the history of prolotherapy, and that was in 1959. The doctor broke two rules, by not using the standard proliferant at that time, and the injection was into the spinal canal. The needle was not on bone! The chances of seizure and death are extremely small if the prolotherapy rules are followed. Pneumothorax is a collapsed lung. If the needle tip were to touch the lung, a pneumothorax may result. Small needles are used in prolotherapy, so the pneumothorax may be able to be treated out of the hospital, if it is a partial collapse, with observation. The body heals and reinflates the lung. If the pneumothorax is more extensive, hospitalization may be required and a chest tube placed by a surgeon for reinflation of the lung. Nerves may be touched by the tip of the needle. This may produce a pins and needles (zinger) sensation, or feeling hot and painful with radiation down an arm or leg. This is usually transient, and the direction of the injections is changed slightly to avoid the nerve. Blood vessels may be made to bleed. Bruising may result. Patients may pass out briefly or be light-headed.